There are some places that get stuck in your head. You want to visit and you don’t really know why. 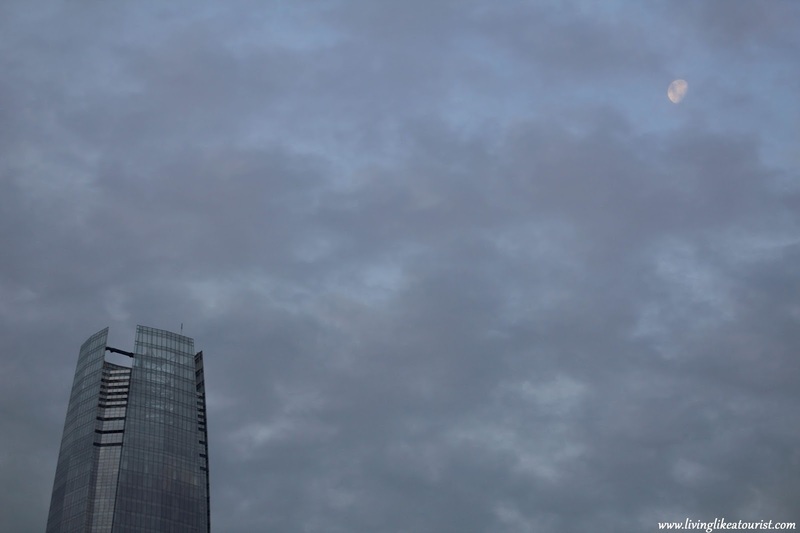 They have mixed reviews, or people say to skip them altogether, but, no, you want to go there. This was Santiago de Chile for me. I had always wanted to visit this capital despite the warnings of smog, the recommendations that the country side is nicer, the statements that the city is just a modern city with nothing much to offer tourists. I didn’t care; I wanted to go. My husband was also on board as he had friends there from a long time back and they had offered to host us. When you can visit friends on your travels, the whole experience turns into something different, something amazing. You don’t try to live the local life, you just do it. You have real conversations about the real day-to-day issues and realities of the country. 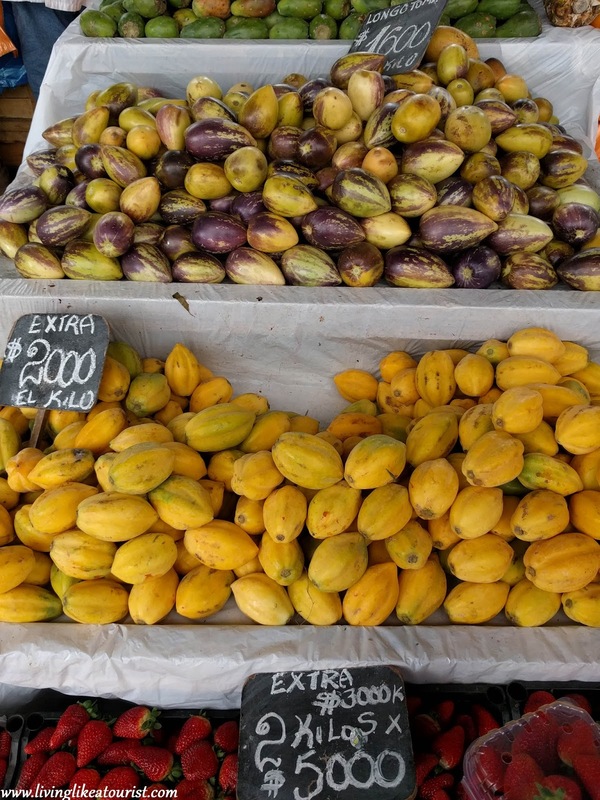 You know what people really eat on a daily basis not just was is "local," you end up seeing what the real work day hours are, and you experience where people chose to live and their reasons for it. Staying with locals in a country is like being accepted into a secret society... without having to go through the acceptance rituals of moving there. I love it. And these friends, although not originally mine, were as if I had known them for years. We met the full wonderful family, mother, father, daughter, son, grandpa, grandma, auntie, doggie, and kitty.We hung out with them all, and enjoyed our time with them all. 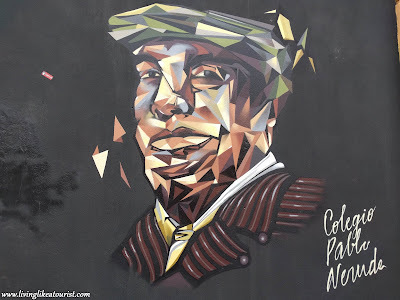 They took the opportunity of having us there to, “live like a tourist” as I might say, i.e. 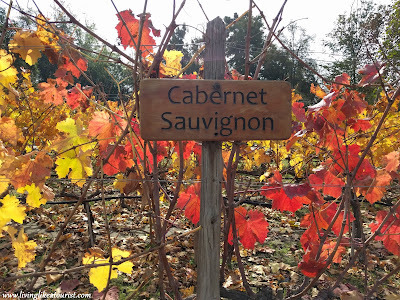 to do some touristy things that they would not necessarily do on their own in their own country, but things that they enjoy anyway: the Concha y Toro winery, salsa dancing, dinner at Peumayen restaurant (which serves native Chilean food), going to visit one of Pablo Neruda's famous houses (Isla Negra) etc. We know this phenomenon very well from our visitors coming to Rome. On the one hand, it can be annoying to go to the Vatican museums for the 7th time, but on the other, visitors always give you a chance to relive the enthusiasm of being a tourist: throwing a coin in the Trevi fountain, eating pizza near Piazza Navona, getting gelato twice a day, going to see the Pantheon at night ... it is a great excuse to be excited about your city again. We didn't subject them to doing all the touristy stuff though; we saved some of the super touristy things to do on our own. We went to the top of the Costanera Tower (Sky Costanera) for the view, visited all three of Pablo Neruda’s houses (inside and outside of Santiago), went to the artisan market in the center and walked through the sculpture garden with a view of the skyline. 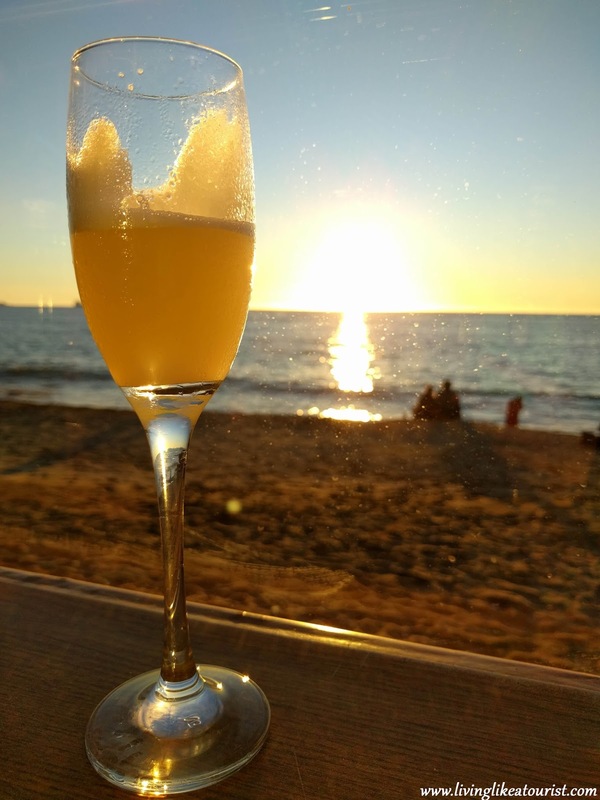 I had a so-called terremoto (i.e. 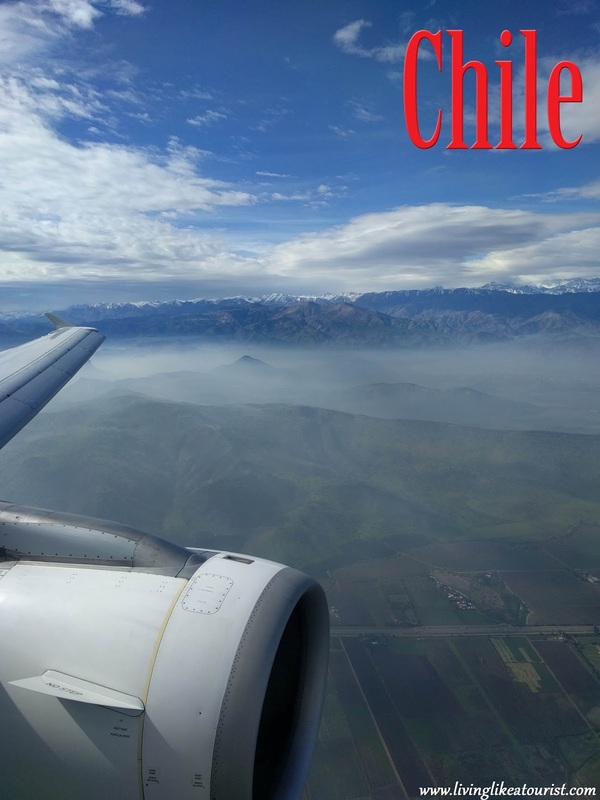 earthquake) drink, which was so sweet that it can cause an internal earthquake, and a much-contested Chilean pisco sour (Chile and Peru are in a century-long battle over the Pisco Sour). 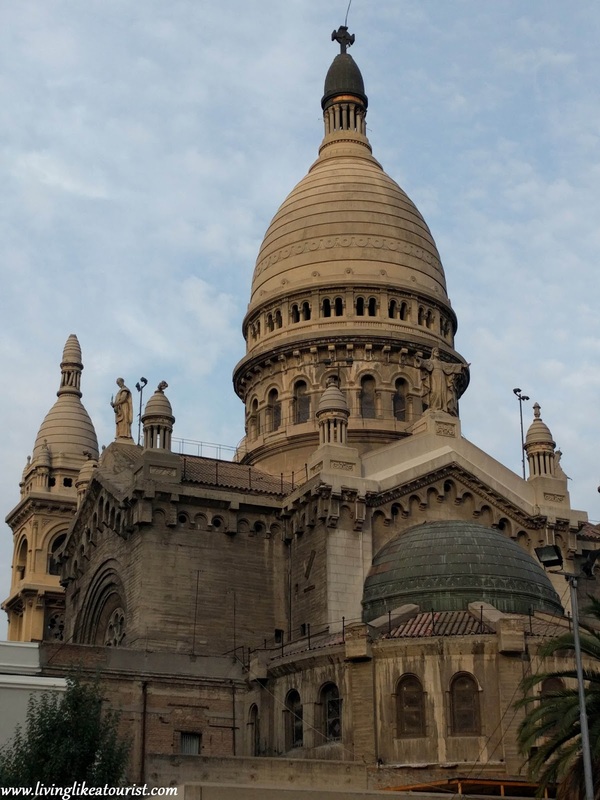 We also went to most of the historical sites in the center, including a church modeled after the Sacre Coeur in Paris (Parroquia Santisimo Sacramento). 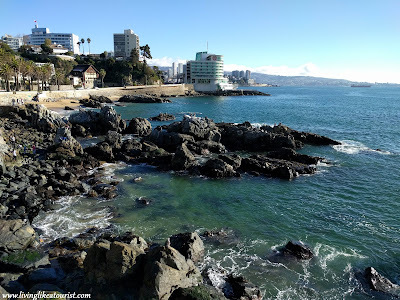 Though we didn't have time to go to the far reaches of Chile like the Atacama desert in the North or Patagonia in the south, we went to the much more accessible coast, specifically Valparaiso and Vina del Mar. The former is like Tim Burton meeting Bansky for a chat on urban design, the latter is like the setting for a sunset drink between George Clooney and Gwyneth Paltrow. In our Italian frame of reference, we also deemed Valparaiso the Napoli of Chile and Vina del Mar its Sorrento. Valparaiso vs. Vina del Mar was like industrial vs. elegant, raw vs. refined, chaotic vs. organized. Both towns were fascinating, particularly in their juxtaposition against one other along the coastal highway. 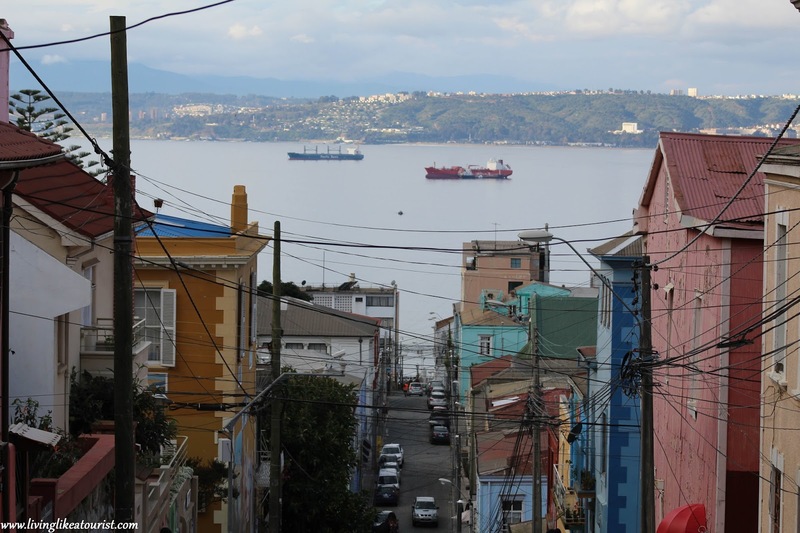 It takes a little longer to see Valparaiso’s charm, especially if you visit the city amidst the rain and gloomy skies, but it definitely makes an impression and it is definitely worth a visit. 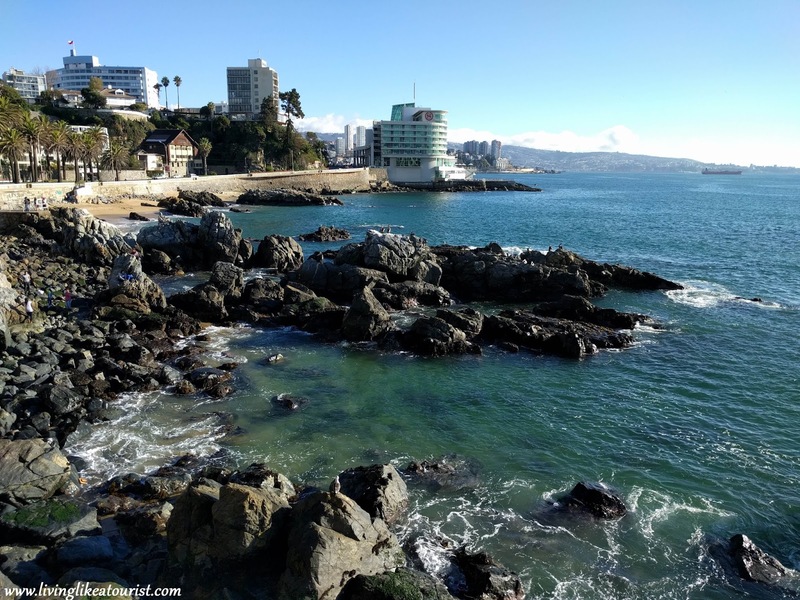 Vina del Mar is a classic pretty coastal town, and is worth the visit as well, if for nothing else than a comparison point to its neighbor. 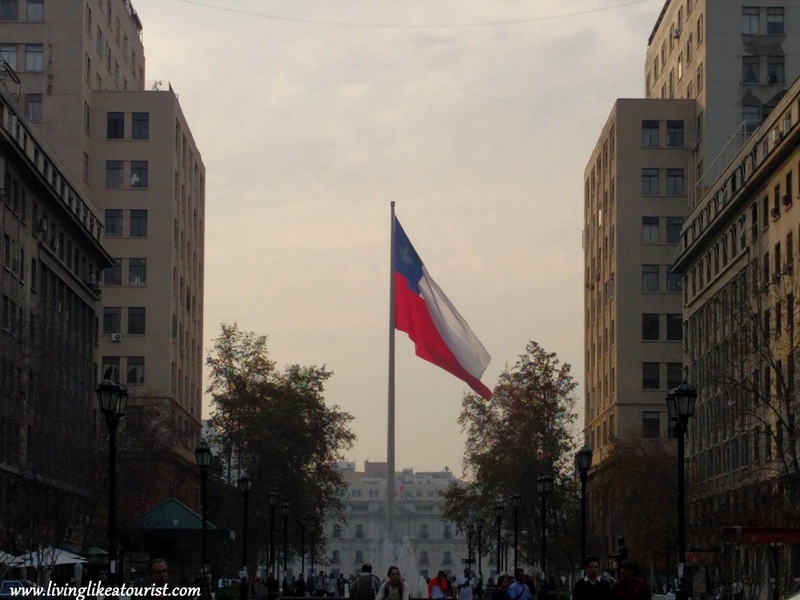 On my “I could live here scale” Chile certainly ranked very high. I think that becoming a local though would require at least three significant feats: 1) I would have to get used to the idea of regular earthquakes. Locals are able to joke about therm regularly, 2) I would have to get my ear (and my tongue) accustomed to the very different Spanish spoken in Chile, and last but not least, 3) I would have to once and for all declare my allegiance to the Chilean Pisco Sour. Otherwise, my adaptation would not go so well. On point 3, I might be OK, but I still have some work to do on one and two.